NAHA, OKINAWA PREF. 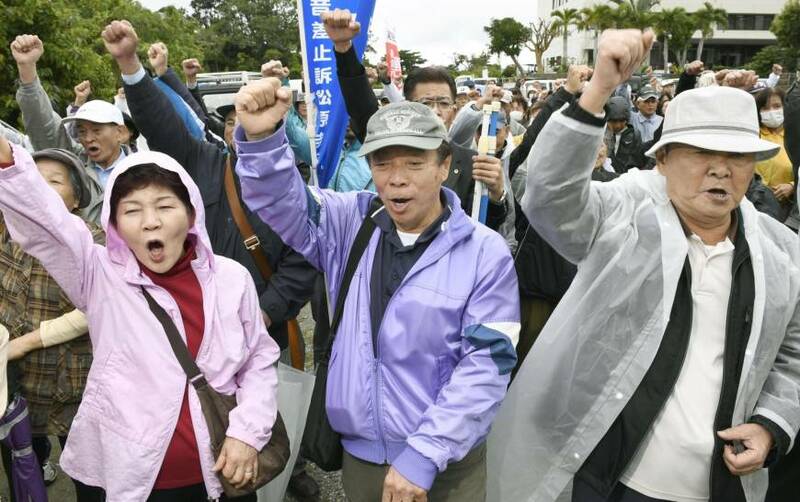 - Residents near U.S. Kadena Air Base in Okinawa were awarded about ¥30.2 billion ($267 million) in noise pollution redress Thursday, marking the largest damages payment ever levied against the Japanese government. But a request by 22,000 residents to ban nighttime and early morning flights at the biggest U.S. air base in East Asia was turned down by the same court. The number of plaintiffs was the largest ever to participate in such a lawsuit, their lawyers said. 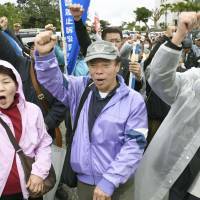 The ¥30.2 billion in compensation by the Okinawa branch of the Naha District Court far exceeds the previous record of ¥8.2 billion for noise pollution near U.S. Naval Air Facility Atsugi in Kanagawa Prefecture. “The U.S. and Japanese governments have not taken fundamental prevention measures and illegal damage has been aimlessly left unresolved,” the branch said in the ruling. The plaintiffs in the Kadena suit, who complained of sleep disruption and hearing disorders, had sought a monthly payment of ¥57,500 each for future damages and a flight ban from 7 p.m. to 7 a.m. at the base. The state has argued that Japan “cannot restrict” flights of aircraft at Kadena Air Base because the authority belongs to the U.S. military. The lawyers told reporters that the plaintiffs plan to appeal to a higher court because they were not awarded the flight ban. Chief Cabinet Secretary Yoshihide Suga, the government’s top spokesman, said at a news conference in Tokyo Thursday that the state “failed to receive full understanding” from the court, and pledged to continue taking “necessary” measures to ease noise pollution. The suit, filed in 2011, is the third in a series of legal battles over aircraft noise at Kadena. Some 900 residents took part in the first suit filed in 1982, and some 5,500 took part in the second, which was filed in 2000. Courts ordered the state to pay about ¥1.37 billion in the first suit, which was finalized in 1998, and ¥5.63 billion in the second, in 2009. Those in the latest suit are from five municipalities in Okinawa that have logged noise levels between 75 and 95 on the Weighted Equivalent Continuous Perceived Noise Level index, qualifying them for government compensation. Kadena Air Base spans 2,000 hectares of land on Okinawa’s main island and has two 3,700-meter runways.